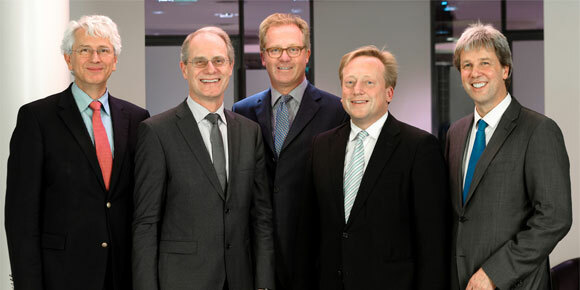 Alexander Röder, Senior Pastor at St. Michael’s (Chairman), Dr Axel Pfeifer (Deputy Chairman and notary), Ulf André Bertheau (attorney), Dr Wolfgang Blümel (Hamburger Sparkasse), Andreas Fischer-Appelt (fischerAppelt agency). Dr Karl-Joachim Dreyer (Chairman), Senior Pastor emer. Helge Adolphsen (Deputy Chairman), Michael Batz, Roman Bruhn, Claes-R. Crasemann, Sven-Michael Eyde, Dr Jürgen Hogeforster, Jens Kerstan, Dr Ulf Lange, Prof. Dr Wolfgang Müller-Michaelis, Karin Prien, Axel Schroeder Snr, Senator Dr Dorothee Stapelfeld, Eckard Trainer. born (1960) and raised in Hamburg, studied Theology at the University of Hamburg after a year abroad in the United States. After his internship at St Johannis (Hamburg-Eppendorf), he was ordained in 1990 and in the same year received a special position as pastor at the St. Jacob’s main church in Hamburg, with a focus on sharing the gospel through church architecture and art. In 2001, Alexander Röder took over management of Religious Art Services at North Elbian Church, before moving to Kiel to become Representative of Services and Church Music at the North Elbian Church office. In June 2005, the synod of the Alt-Hamburg district elected him Senior Pastor at the St. Michael’s main church. His new responsibilities included pastoral leadership at St. Michael’s and representing the church in the media and the general public. He is also the founder of the St. Michael’s Foundation. born (1965) and raised in Hamburg, studied Social Work and Welfare at the Das Rauhe Haus university in Hamburg. After a practical year at the agency for juvenile justice support, he was responsible for youth social work as a deacon in the Johannes parish in Eidelstedt for ten years and was one of the first graduates of the Fundraising Akademie in Frankfurt. Between 2002 and 2012, he managed fundraising for the Das Rauhe Haus foundation and worked as a self-employed project developer and fundraiser. In 2012 he took over management of the St. Michael’s Foundation. has been working at St. Michael’s for more than 50 years. She used to work as a secretary for the three senior pastors and has been helping with the work of the St. Michael’s Foundation from the first day. Now she’s a volunteer at the foundation and is responsible for the St. Michael’s plaque campaign.